Heavens to Murgatroyd, Don’t Touch That Dial! This medical term describes a loss of voluntary movement and damage caused by drinking impure or contaminated alcohol. It originated in Oklahoma during the last days of Prohibition, circa 1930. Jamaica ginger extract was a patent medicine, also known as “jake”. Overindulgence caused a partial paralysis that resulted in the inability to walk normally. American slang for leaving quickly, either on your own or being forced to go. Accounts of its origin vary and there seems to be no definitive answer. It may be dirived from the number 23 which was associated with bad luck and “skedaddle”, meaning to leave. A man’s suit that has a high waist, wide legs, tight cuffs, a loose, knee-length coat with padded shoulders and wide lapels, it was popular in the United States in the late 1930s and 1940s. A broad-brimmed hat, adorned with a feather, and a key chain that reached to the knees completed the unmistakable look. Uttered by an announcer just before a TV program took a commercial break, it reminds us of the early days of television before wireless remote controls were everyday items. The sentence has been reimagined in recent years to a song, collection of classic commercials, book, and a wide variety of other applications. 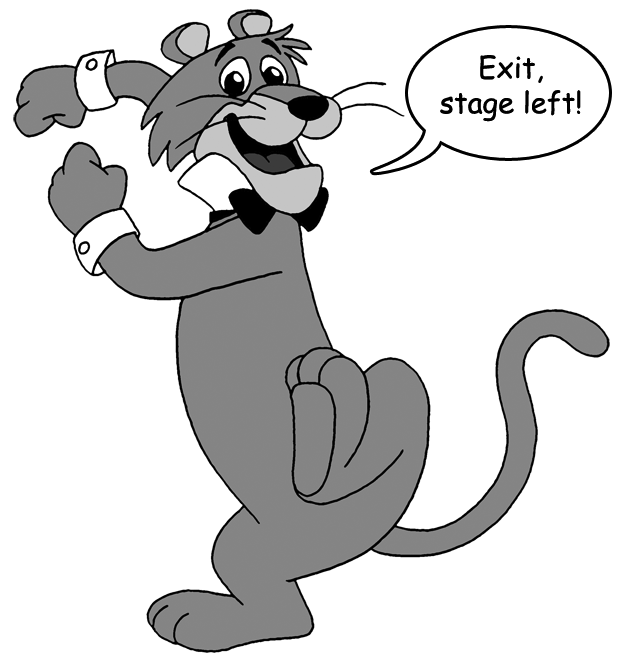 The Hanna-Barbera cartoon studio created Snagglepuss in 1959, a character on TV’s The Yogi Bear Show. The pink mountain lion popularized this phrase, first voiced by Bert Lahr in the 1944 movie Meet The People.